Motorola Atrix was officially launched in Malaysia yesterday and I was lucky to be there to cover the product launch and snapped some pictures and video. The smartphone is now widely available throughout Malaysia at selected retailers at a recommended retail price of RM1,999. Motorola Atrix, running Android 2.2 Froyo OS. Motorola chosen Malaysia as one of the first countries in Asia to launch this dual-core smartphone just five months since it was first unveiled in January at the Consumer Electronics Show (CES 2011), in Las Vegas, where it won CNET’s Best of CES “Best smartphone” award. 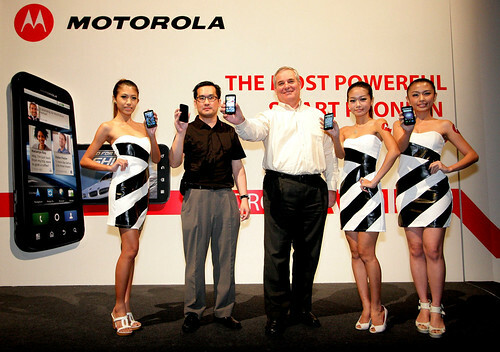 Andy Tan, CEO of Brightstar Distributions Sdn Bhd and Robert Van Tilburg, Senior Regional Sales Director, Motorola Mobility, South Asia posing with models at the launch of Motorola Atrix. Up to 9 hours talk-time on 3G & up to 264 hours standby time on GSM! Motorola Atrix, with MOTOBLUR Homescreen. Rear view of Motorola Atrix. Power button with biometric fingerprint recognition sensor at the top. 5 megapixel rear camera with dual LED flash just below the power button. 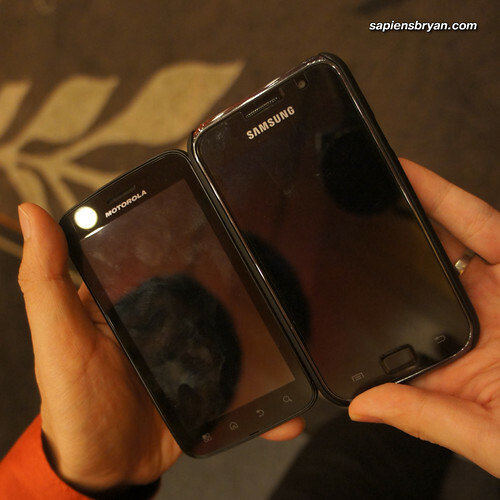 Size Comparison of Motorola Atrix & Samsung Galaxy S. Motorola Atrix is smaller but the screen size is the same. Motorola’s webtop application runs a full Mozilla Firefox 3.6 browser and supports Adobe Flash Player to open up all the rich graphics, animations and video on the web. In other words, putting Motorola Atrix on the dock enables the user to enjoy full PC capability on a powerful smartphone! While in the webtop application users can run their Android applications in a window, browse their favorite websites with a full Firefox desktop browser, edit documents, send instant messages and make phone calls, all at the same time. Calls continue uninterrupted if Motorola Atrix is removed from a dock. Users can surf the web, view social networks, and use HTML5 web-based applications and supported cloud computing services. Plus, the new Entertainment Centre feature lets you show all of the photos, music and videos you already enjoy on-the-go on a big screen in your living room. Motorola HD Multimedia Dock has 3 USB ports and 1 HDMI port enabling connections to a keyboard, mouse, speakers and HDMI-compatible external display for working at your desk or office, or to an HDMI-compatible television and home theater audio system for interacting with content and enjoying video, music, games at home. 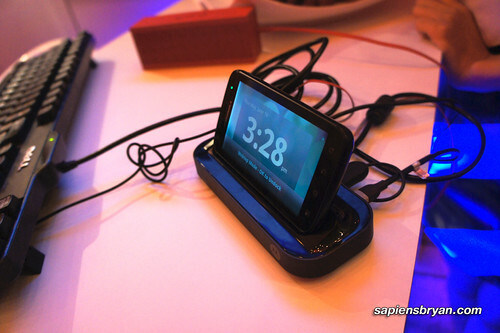 The retail price for Motorola HD Multimedia Dock is RM439. 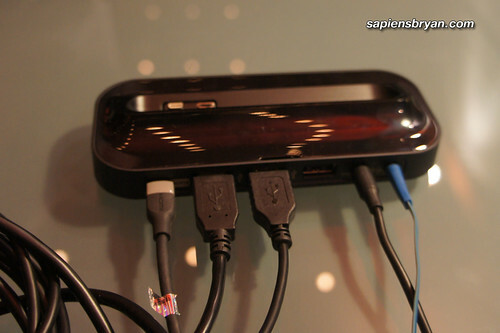 Motorola Atrix docked on HD Multimedia Dock. HD Multimedia Dock has 3 USB ports, 1 HDMI port, 1 power port & 1 3.5mm jack for speaker. Motorola Atrix connected to HDMI compatible LCD display via HD Multimedia Dock. 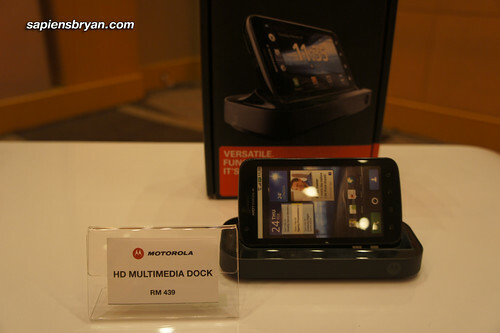 HD Multimedia Dock for Motorola Atrix, selling at RM439 in Malaysia. Motorola LapdockTM is a “docking shell” that weights only 1.1kg and features an 11.6 inch screen, full keyboard, track pad, stereo speakers, and 36Wh three-cell battery that delivers up to 8 hours of extra battery life for the Motorola Atrix. 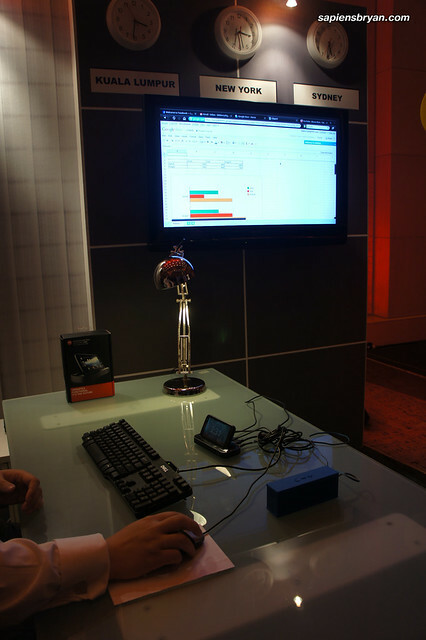 This laptop-like dock provides users with a larger screen, keyboard and trackpad enabling them to have an enhanced and more interactive computer-like experience with their device. 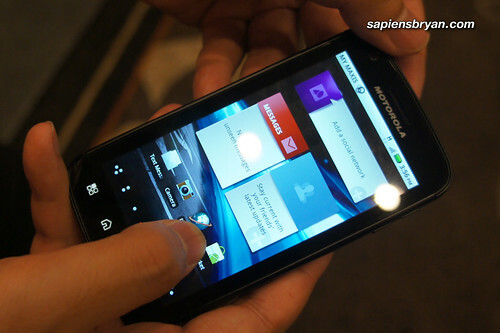 The retail price for Motorola LapdockTM is RM1,399. Motorola Atrix docked on Motorola Lapdock. Motorola Lapdock for Motorola Atrix, thin and light. Motorola Atrix is currently distributed by Brightstar Distribution Sdn Bhd, you can find the full retail listing at brightstarcorp.com.my. You may call their Sunway Mentari Office at 03-56301392 too. Anyway, you may try to contact their main branch in PJ at 03-79604877 during working hours too. Ok… here’s what happened: I called during work hours today and asked where I could find the motorola atrix in KL – and the reply was: “At any store that sells motorola phones, of course!”. I’m serious. No matter how I rephrased my question to show that I just need the name and number of a store in KL that has the phone so I can go and buy it – I got nothing. … weirdest – experience – ever. And then I explained that I was new to KL and don’t know these shops, just name anyone – I begged (yes, I was begging for an answer by that time), the lady then suggested that I get up early and go to their headquarters in PJ and buy it from them. SO – now I am asking anyone who reads this: help a guest from KL. 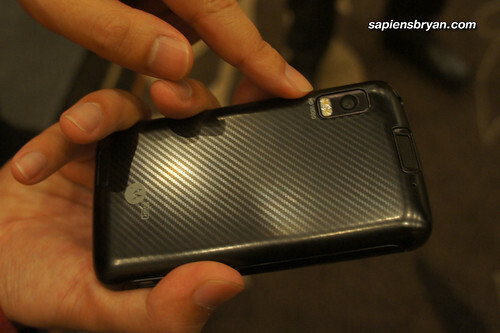 Where can I get this phone and accessories (sold at the suggested retail price) in Kuala Lumpur? I prefer shops that are in malls – because they are easier for me to locate. I’ll try to get someone from Motorola to help you out here. Shall I pass your email ending with myway.com or mail.com to them so that they can contact you? I really appreciate that, thank you so much! You can pass the myway account to them. No one called :( so I bought another phone instead (I had to). But I did find out today that it is available online through a Malaysian website: http://imcc.com.my – in case anyone else is till looking for it. An update for those who are interested in getting Motorola Atrix in Malaysia, it is now available at selected Courts, Harvey Norman, Sen Heng & SenQ retail outlets.